"Our Customers Are Warm Friends"
and informative ways to save! Your Hometown Heating Oil Company Serving the Worcester, MA Area! 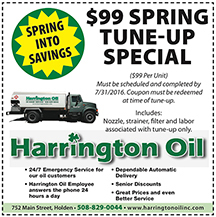 Harrington Oil Inc. is located at 752 Main Street in Holden, MA and was established in 2010. It is owned and operated by brothers Pat, Joe, and Brian Harrington. While Harrington Oil is fairly new, the Harringtons are very experienced in the oil business having all worked with their father at his own business, Holden Heating Company, from a young age. 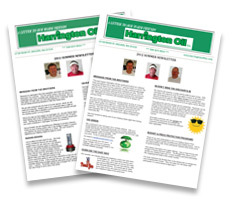 Pat and Joe each have 30 years of experience in the heating oil industry. The Harrington brothers seek to recreate the fast, friendly, honest service Holden Heating Company was well known for. Sign up today to experience an oil company that truly cares for it's customers.